Engagement is no longer about a brand just hoping they can grab the attention of their customers. Today, brands have way more competition for attention as they're not only competing with other brands, but also the demands of everyday life. This is why brands looking to increase their consumer engagement are turning to voice. By this, I mean creating voice apps for use on Amazon Alexa, Google Home or any number of Google Home Alternatives, etc. But why voice? Why not just focus on social media or blog content? Voice apps allow brands that deeper connection needed to stand out above the crowd, especially since most of your competitors haven’t even thought of utilising it yet! Through voice, you can exist in the everyday life of your customer. Solve problems, offer information, and along with this, create an experience. An experience that transforms initial engagement into long-term retention. Voice technology is still new. People don't even think of engagement when they think of Alexa Skills or Google Home apps. They think of voice technology as a one-way interaction. I ask for an item, and I will receive it. The first uses that come to mind of Google Home are asking it for news or traffic reports, adjusting the lights in your home, or playing your favourite song. Online consumers are starting to adopt Amazon Alexa for tasks like ordering batteries, paper towels, clothing, and even furniture. But that is not all these devices are good for, and businesses can turn these basic tasks into huge drivers of revenue. The way brands can take simple interactions and use them to drive engagement is to wrap them in an experience. Creating an experience is as easy as exceeding an expectation. And using voice as a vehicle to personalise an interaction or solve a problem is going to do exactly that. What does that look like? Say you're a grocery brand and your customers buy items through a voice interaction. The process seems simple enough. But we are talking about taking that to the next level. Next time the consumer requests an order, perhaps your voice app will let them know an item they often buy is on sale. Or your voice app will remind them that they usually buy honey every month and it's been two months since they last bought it. The reason voice succeeds here is the consumer doesn’t have to put forward any extra effort to receive that extra information. As a brand, you won’t have to fight for that customer's attention to buy those items. You exist as a resource of information that facilitated their purchase. And likely, the next time they need an easy, efficient grocery experience, you're the brand they’ll turn to. 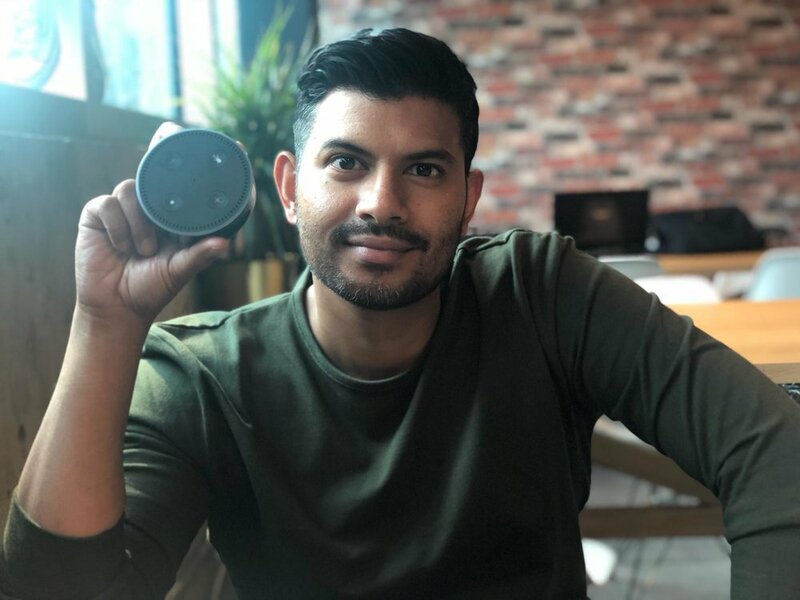 It all boils down to the value of a voice-enabled experience being the way in which a brand can insert itself into the day to day lives of customers. Through recommendation, expertise, or solving a problem a customer didn't even know they had. Let our team at Silver show you how we can make the above happen and more. One call with us and you won’t view your business the same way again. Get in touch now!